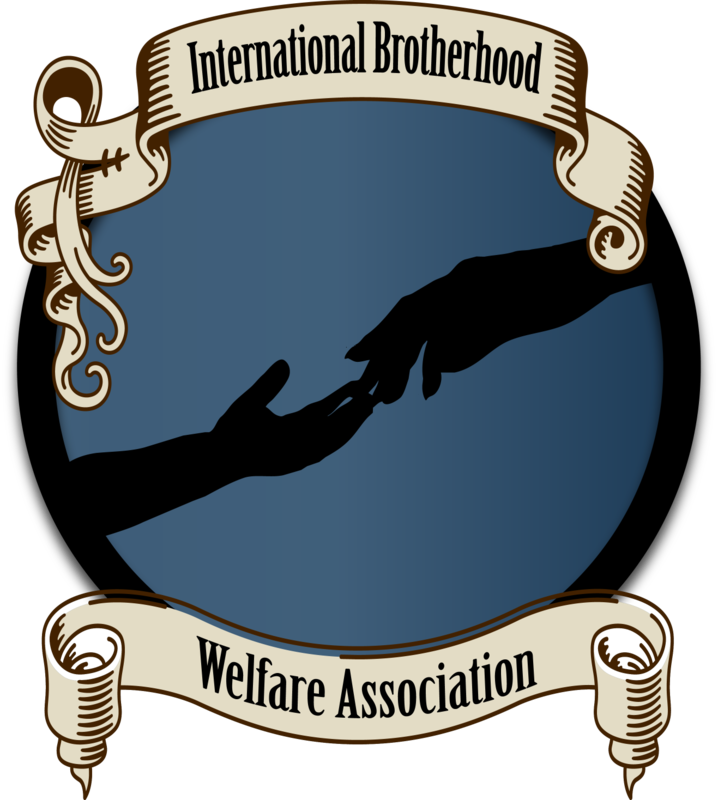 The International Brotherhood Welfare Association (I.B.W.A.) was a mutual aid society for traveling workers (commonly referred to as “hoboes”) which existed from 1905 to the early- to mid- 1920s. It was less radical and less numerous than the Industrial Workers of the World (I.W.W. ; the Wobblies), the largest union in America before the rise of the American Federation of Labor (later the A.F.L.-C.I.O.). Although the I.B.W.A. was supportive of the I.W.W., they remained separate, and the I.B.W.A. survived multiple failed attempts by the I.W.W. to take it over. Centered in the Midwest United States, the I.B.W.A. had a presence in about twenty cities. I.B.W.A. centers, called “hobo colleges”, were meeting places that offered hot meals, shelter, and education. These centers "graduated" hoboes. Subjects covered at these “colleges” ranged from philosophy to literature to religion, with lectures given by street orators and academics alike; as well as social science, industrial law, vagrancy laws, public speaking, job searching, the eight-hour work-day, pensions, unemployment, and disease awareness. According to sociologist Nels Anderson, the goals of the I.B.W.A. were to “bring together the unorganized workers … co-operate with persons and organizations who desire to better social conditions … utilize unused land and machinery in order to provide work for the unemployed … furnish medical, legal, and other aid to its members … organize the unorganized and assist them in obtaining work at remunerative wages and transportation when required … educate the public mind to the right of collective ownership in production and distribution … [and] bring about the scientific, industrial, intellectual, moral and spiritual development of the masses”. In the interest of raising awareness of (and promoting solutions to) homelessness – and in the interest of ameliorating the problems of temporary homelessness, unemployment, income disparity, lack of education, lack of marketable skills, and lack of knowledge about legal rights on the job site – I would urge Portland Rescue Mission, Transition Projects Inc., Right 2 Dream Too, and other homeless charities to look into continuing to expand the variety of the services which they provide, or at least to consult with other local homeless charities which could be better equipped to provide the space necessary to hold large events. Imagine homeless people gathered under one roof – not just to eat, sleep, find housing and work opportunities, and to receive religious ministry (as they do at the Portland Rescue Mission), and not only to do laundry and to get lockers and IDs (as they do at Transition Projects, Inc.) – but in order to do all of the above, in addition to learning about how to survive in Portland, the local job scene, and local social services. Imagine professors of labor law, representatives from unions such as the I.W.W. and the S.E.I.U. (Service Employees International Union), labor rights advocacy organizations such as Portland Solidarity Network and local affiliates of O.S.H.A. (the Occupational Safety and Health Administration), and staffing and consulting agencies and members of green and sustainable business alliances, teaching homeless people about workers' rights and how to get jobs in the area, and teaching them marketable skills. Imagine professors of philosophy, literature, theology, and law at Portland State University or Portland Community College teaching homeless people such advanced knowledge. Imagine Food Not Bombs coordinating with local food banks to help homeless people find donated food around the city more easily. Imagine an issue of Street Roots that contains a map and time schedule of free meals, that anyone can go to simply by looking up the day of the week and the time. Lastly, imagine putting the able-bodied homeless and unemployed back to work restoring and beautifying the urban environment, by coordinating activity between landscaping companies, staffing agencies, homeless charities, green and sustainable business alliances, community land trusts, community gardening groups, college urban farming apprenticeship programs, the Master Recycler Program, and groups for the elderly and veterans (such as retirement communities; fraternal orders and lodges; and local affiliates of A.A.R.P., the Veterans' Administration, and Veterans for Peace). A revived mutual aid society like the one I am proposing should promote the idea of a “hobo” as a traveling worker, and remind people that all working people travel; hence the need for services like The Portland Loo downtown, accessible to all people, regardless of whether they're experiencing homelessness. It is essential to get people to realize that homelessness can happen to them. Anyone can become homeless overnight, and from a distance it is difficult to even tell the difference between the working poor and the non-working poor. It is time for charity organizations in Portland to set the national standard for helping the poor; reviving the I.B.W.A., and improving coordination across agencies that provide different types of services to the homeless and poor. The various homeless charities in Portland should give homeless people the same opportunities that people in prison have: the opportunity to learn marketable job skills, and even to earn a degree. Billboards around the city urging an end to “petlessness” and “plant homelessness” only contribute to distraction from (and commercialization of) the homelessness issue, and to the public perception of the homeless as animals and non-native invasive species (which is apparent in the way pets and plants are advertised around the city). I love your values and your vision. Even just that makes the world a better place. But we still got a long ways to go. Well, some day we'll get there. Together. Is It Comparable to Slavery?